The only report we've seen today is here. Haven't yet been to the NYTimes to see if The Old Gray Lady deigned to cover it. Huff Post has zip on it. Think Progress is covering it. Has the Communist Party been so demoralized that they can only muster a couple hundred people... in New York City?!? And even to get to a couple hundred, they have to piggy-back on Libertarian free-market capitalists? Where is the sea of red? Where are the fists in the air for solidarity? I guess "the people" are not so dumb after all. So sorry. Keep trying... perhaps one of these years, you will come up with the perfect opportunity and formula for tricking "the people" into giving away our freedoms. It must be really sad to be a Communist in the United States. Our whole system is set up very carefully to prevent a takeover by leftists or rightists: 1) biennial full House vote with veto power 2) lifetime Supreme Court appointments with the power to declare any new law "unconstitutional". 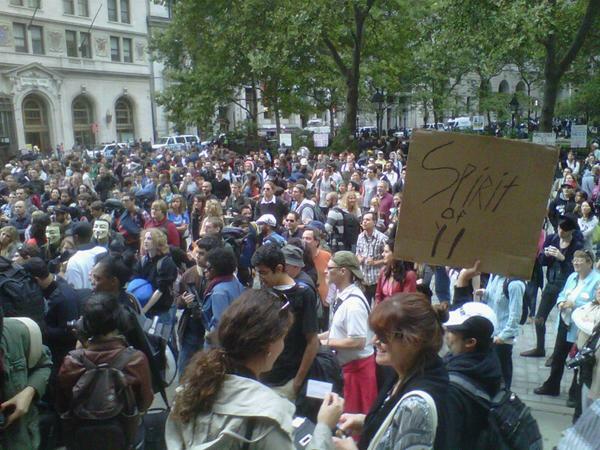 Seriously guys, a nationwide publicity campaign for an event--in NYC, of all places--and only 1000 people show up? How do you like the taste of your own irrelevance? I wonder why no one has stood up for Karl Marx and commented in this thread? I guess it's easier to strike down your opponents than to defend your own beliefs?